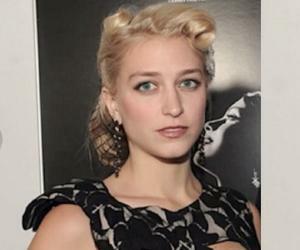 Annabeth Hartzog Goodman is an American businesswoman and the wife of famous Hollywood actor John Goodman. Check out this biography to know about her family, personal life, career, etc. 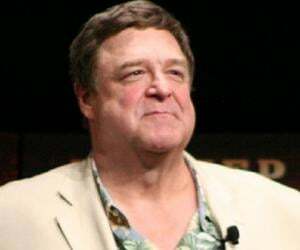 Annabeth Goodman is an American businesswoman and the wife of famous Hollywood actor John Goodman. She owns the children’s clothing and toys shop, ‘Pippen Lane.’ The store, which is located on the famous Magazine Street in New Orleans, Louisiana, houses a number of popular brands, including the world-renowned brand ‘Lylian Heirloom.’ Annabeth married John Goodman in 1989 and the two have been together ever since. Apart from being a successful businesswoman, Annabeth is also credited for helping her husband conquer his inner demons over the years. She currently lives in California along with ‘The Flintstones’ actor and their pet dogs. Annabeth Hartzog was born in the year 1969 in the United States of America. She was raised in Bogalusa, Louisiana and was enrolled at ‘Bogalusa High School.’ She graduated high school in the year 1986 before attending the ‘University of New Orleans’ to study Fine Arts. After completing her education, Annabeth moved to Los Angeles in order to start her career as a clothing manufacturer. She returned to Louisiana in 1997 and opened her children’s clothing store in the French Quarter in New Orleans. Her decision to open a children’s store was prompted by the fact that New Orleans at the time lacked having a recognized European clothing store for children. ‘Pippen Lane’ currently houses toys, shoes, linens, gifts, strollers, books, and much more. In 2011, Annabeth purchased the French clothing brand ‘Lylian Heirloom.’ The brand, which consists of handmade embroidery clothing, has been a part of ‘Pippen Lane’s’ inventory even before Anna purchased it. The brand itself is more than 100 years old and is one of the major attractions of ‘Pippen Lane.’ Annabeth eventually created her store’s signature label, ‘Layette.’ The label features different kinds of clothing for newborns and kids. Annabeth met John Goodman at a Halloween party in 1987, when she was studying at the ‘University of New Orleans.’ John at the time was filming in New Orleans for the then upcoming movie ‘Everybody's All-American.’ After dating for a couple of years, Annabeth and John decided to walk down the aisle in the year 1989. They were blessed with their daughter Molly Evangeline Goodman on August 31, 1990. After their daughter’s birth, Anna and John decided to move away from Hollywood to make sure their daughter has a childhood sans the glitz and glamor associated with Hollywood. Annabeth is credited for helping her husband fight alcoholism. In an interview in 2018, John opened up about his long-standing issue with alcohol addiction and how Anna convinced him to visit a treatment center to beat the addiction. John eventually defeated his inner demons and has stayed sober since 2007. Annabeth also helped John to shed a few pounds. In fact, Anna and John often work out together at the gym which they have set up in their home. After living in various locations, such as Calabasas, Tampa, and New York City, the Goodmans bought a 4.6 million dollar home at Pacific Palisades in 2008, where they currently reside. Annabeth Goodman often attends public events along with her famous husband. In 2017, Anna and her family were seen attending John’s star ceremony on ‘The Hollywood Walk of Fame’ in California. Some of the other events that Anna has attended include ‘Royal Ascot 2015’ and the premiere of ‘Trouble With The Curve’ in Westwood. Annabeth is close to her daughter Molly. Molly followed in her father’s footsteps to become a production assistant in the film industry. Annabeth loves dogs and owns a couple of dogs at her Pacific Palisades residence.